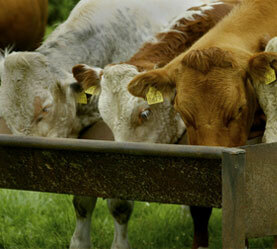 Beef Builder Nut is an extremely high energy feed suitable for feeding to growing cattle where maximum growth rates are expected. 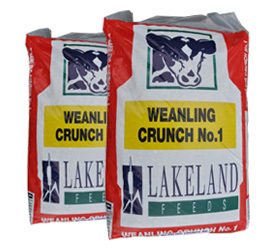 Weanling Cruch No. 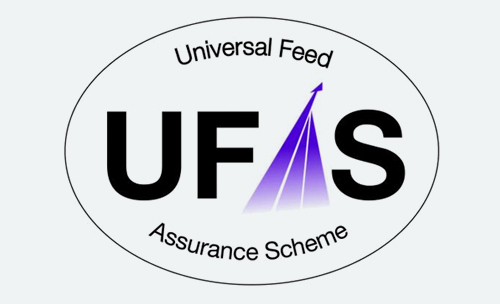 1 is a very high quality coarse ration which is formulated to promote strong intakes and maximise growth rates in young weanling animals. 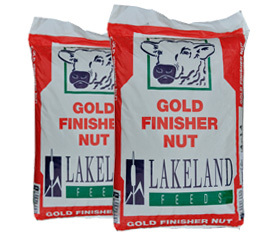 Gold Finisher Nut is an extremely high energy feed formulated to achieve exceptional growth rates and maximise kill out percentages during the finishing phase of beef production. Gold Finisher 30 is an extremely high energy coarse ration formulated to maximise feed conversion efficiencies and kill out percentages during the finishing phase of beef production. 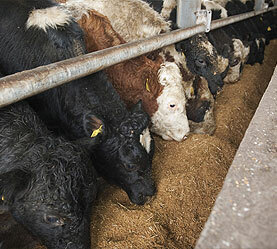 The Hi Cereal Coarse Finisher is a high energy finishing ration formulated to include high levels of native cereals.